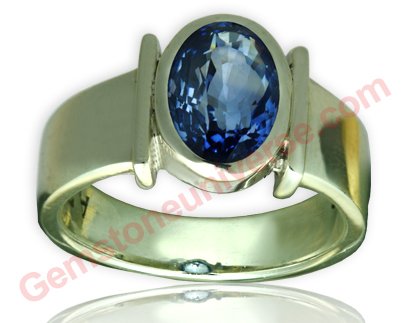 Comments Sri Lankan unheated and Natural Blue Sapphire with a scintillating cut, which adds to the allure of this 3+ carat, unheated gemstone! The aura of this Sapphire is so breathtaking that it feels like a Blue Diamond. The colour is closest to the Kashmir Blue Sapphires, which are the most sought after! Great Saturn Gemstone that has made an absolutely Sattvik, potent and pure Shani talisman! It a blessing to provide such beautiful gemstones. Yes it’s a blessing and a privilege.